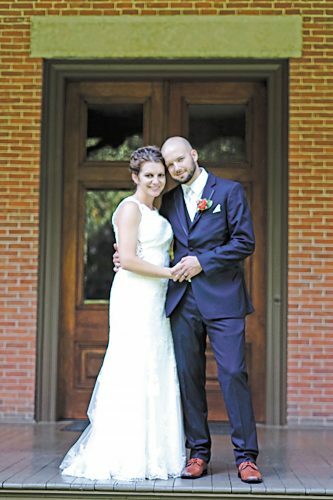 Julia Lynn Faeth and Jason Christopher Martin exchanged wedding vows July 25, 2015, in a double-ring ceremony at All Saints Catholic Church in New Riegel, with the Rev. Patrick Toner of Plain City officiating. A reception followed the ceremony in the Redwood Ballroom at Meadowbrook Park in Bascom. Julia is the daughter of Jerry and Joni Faeth of New Riegel. Jason is the son of Joe and Karen Martin of Hilliard. The bride wore a chiffon gown featuring an illusion neckline embellished with beading. The floor-length, A-line skirt featured a ruched bodice with beaded side detail, extending to a chapel-length train. Julia wore an elbow-length veil with beaded embellishments and carried an all-white bouquet of hydrangeas, roses, stephanotis, mini gerbera daisies and lily of the valley. Serving as maid of honor was Jacqueline Faeth, sister of the bride. Bridesmaids were Jennifer Barman, of Annapolis, Maryland, friend of the bride; Amy Moran of Indianapolis, Indiana, sister of the groom; Jessica Mrowzinksi of Columbus, friend of the couple; and Anna Henry of Shaker Heights, friend of the bride. The maid of honor wore a bright turquoise, knee-length, sleeveless, chiffon dress with round illusion mesh neckline, side cascade and back ruching. The bridesmaids wore bright turquoise, knee-length, strapless, chiffon dresses with sweetheart necklines and front cascades. 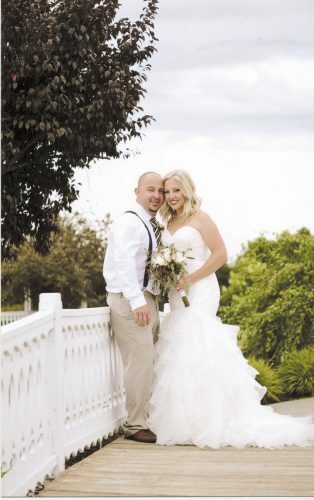 They carried bouquets of white mini gerbera daisies, white hydrangea and yellow roses wrapped with turquoise ribbon. Serving as best man was David Mrowzinski of Delaware, friend of the groom. Groomsmen were Brett Compton of Raleigh, North Carolina; Curt Bumb of New Riegel, friend of the bride; and David Martin of Columbus and Timothy Martin of Toledo, brothers of the groom. 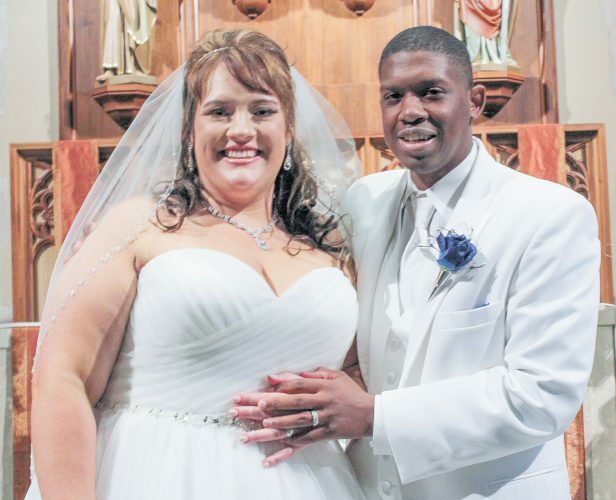 The bride graduated from University of Dayton in 2011 with a bachelor’s degree in chemical engineering and from University of Michigan in 2015 with a doctorate of philosophy in chemical engineering. She is a research scientist for Owens Corning in Granville. 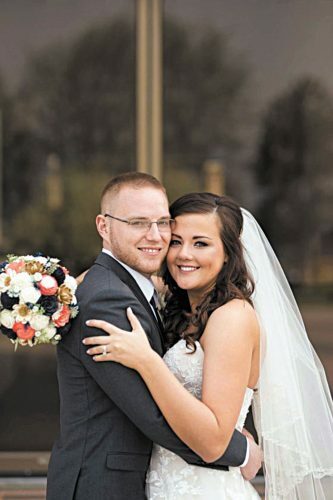 The groom graduated from Ohio University in 2009 with a degree in civil engineering. He is a structural engineer with Paul J. Ford in Columbus. 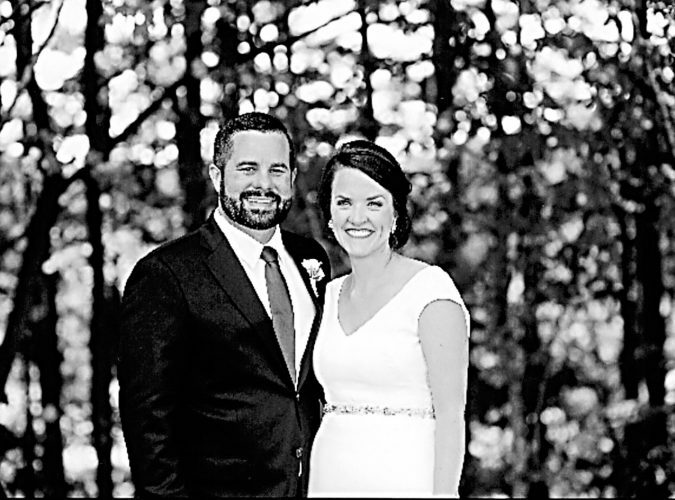 The couple honeymooned at Secrets Maroma Beach resort in Riviera Maya, Mexico.